You can receive text message notifications whenever a new lead signs up. Instantly know when you have a new lead. Take advantage of the opportunity to get in contact immediately. Keep track of SMS messages sent by the system. 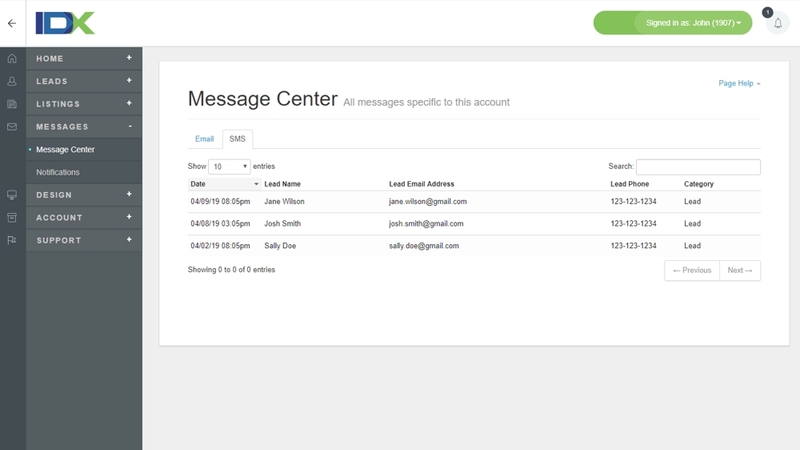 SMS messages will include the name, phone number, and email the lead provides. All Agents can receive SMS messages for new leads by setting up SMS messaging in their agent bio.